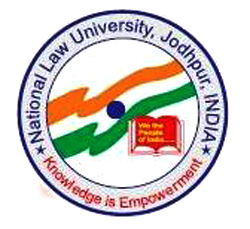 NLU Jodhpur in association with Bridge Mediation Pvt. Ltd. is organizing a week long certificate training course in Mediation, Civil and Commercial Negotiation from 24 Feb – 2 March, 2014. It is a skill based training programme for both students and professionals alike. The training will be conducted by a practising international mediator and negotiator from Rome, Italy. The successful participants shall become certified International mediators and cross culture negotiators trained in an internationally accredited 40 hours course and shall be eligible for enrolment as mediators in court annexed mediation cells and private mediation centres in India and abroad. Every human interaction is a process to make others understand our views, needs and problems. Mediation and negotiation are a major part of our daily life as an employer, service provider, service recipient, trader, family member and manager. We are born with these qualities but they can be used most effectively only through skill based training. This training is designed based on rigorous research of trained and practising mediators in India and Europe. The training gives a practical insight into applicability of mediation in commercial and personal situations. The training is a skill enhancing exercise for professionals to become target oriented negotiators and emphatic mediators. It will help the participants increase business efficiency through lowered legal expenditure and improved business relationships. The successful participants shall become certified mediators and negotiators- the basic criteria to undertake mediation at various forums in India. Boarding and Lodging: NLU Jodhpur shall be providing boarding and lodging facilities at nominal charges.